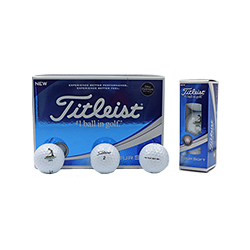 These Toursoft golf balls by Titleist delivers category-leading soft feel and commanding distance. Its dimple design provides "penetrating trajectory and consistent flight." Each ball features the Putter Boy logo.